Has The Military Perfected Tesla’s "Death Ray?" A few years ago Jessie Ventura’s popular and troublesome Conspiracy Theory episodes included a proposition that the U. S. Military has possession of a working prototype of the infamous "Death Ray" allegedly invented by the electronic genius Nicola Tesla over a century ago. Ventura’s television documentary theorized that the United States and possibly other governments of the world have developed a super weapon that can cause instantaneous demolition of buildings, entire cities and even armies. The weapon may be so refined that it can be used for individual assassinations. Among the sources of the television report was Dr. Fred Bell, a former NASA scientist and technological consultant for US black ops programs. Bell told Ventura he worked on the development of the death ray technology which has been operational since the late 1980s. Bell said he was speaking out about the weapon because he was worried that its destructive powers were a danger to the world. He said the ray turns matter into anti-matter and causes massive, instantaneous and total devastation of everything in its path. "Something that big you’d want to make sure it doesn’t get out," he said. Bell said the weapon also can send a reduced sized ray that can be used for assassinations. The nano-sized ray penetrates the skin, kills the person it hits and leaves no trace of the crime. The diagnosis is usually "from natural causes" or a heart attack. What was eerie about the Ventura report was that Bell was found dead of "natural causes" shortly after doing the interview. He was only 68 and in good health at the time of making his report. It is believed that Tesla developed his "death ray" at the onset of the First World War. He offered the technology to the U. S. Military claiming it was a purely defensive weapon that could stop incoming attacks. The military allegedly rejected the invention. 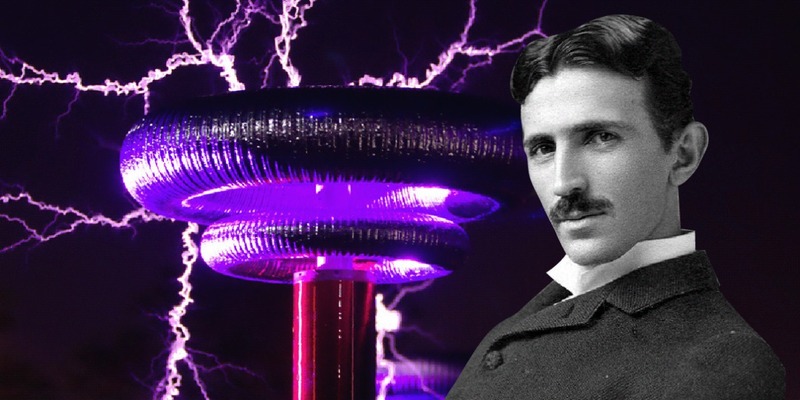 Those were the years that Tesla, with financing of J. P. Morgan, was working on the infamous Wardenclyffe tower, where he claimed he could demonstrate how the world could enjoy free energy transmitted through the air. Morgan later stopped the project after he learned that it would be impossible to measure the energy and thus profit by selling it to users. It is believed Tesla built a prototype of his death ray machine in 1908 and may have actually tested it from Wardenclyffe. There is a strange story that Tesla and arctic explorer Robert Peary had some kind of agreement involving a test firing of the ray into the frigid northern territory while Peary and his team were making what was to be Peary’s final attempt to reach the North Pole. He and 23 men set off from New York on the ship Roosevelt on July 6, 1908. The idea was that Tesla was going to fire the ray into the arctic and that Peary would attempt to report back the effects it had on the target area. As the story is told, on the night of June 30, 1908, Tesla switched on the machine. There was a dim light coming from it that was barely visible, but it was impossible to determine if it was working. Then an owl flew off the top of the tower and soared directly into the path of the beam. They said it disintegrated in mid-air. Tesla immediately switched off the machine. Peary spent two years trekking his way to the North Pole. On his return he apparently had nothing unusual to report to Tesla. But in Tunguska, Siberia, something very destructive and unexplained had, indeed happened. Scientists have since blamed it on an exploding meteorite that had the power of several atomic bombs that flattened 770 square miles of uninhabited forest. The Tunguska event has had researchers guessing ever since it happened. Tesla, grateful that the ray had struck an area where nobody was killed, dismantled his machine, thinking that it was too dangerous to give to the world. Yet when the United States entered World War I a decade later, he offered to rebuild it for the War Department. He reasoned that a weapon that powerful might force the world to lay down arms and agree to leave in a lasting peace. The only response was a form letter from President Wilson’s secretary that said thanks for the offer, but no thanks. Thus Tesla’s death ray was never reconstructed during his lifetime. There is a rumor that the FBI raided Tesla’s laboratory and seized all of his files, drawings and plans following Tesla’s death in 1946. The FBI has formally denied the story, which means it probably happened. Marc J. Seifer, author of "The Life and Times of Nikola Tesla – Biography of a Genius," said he believes Tesla’s ray was a particle beam weapon. It shot microscopic pellets from an open-ended vacuum tube shaped in the form of a cannon. Getting back to the Ventura report, the television team also examined the work of a Canadian researcher named John Hutchison, who claims to have expanded Tesla’s work in the field of directed energy. In the early 1980s Hutchison produced videos showing how the device had the power to bend and melt heavy steel. Ventura’s team notes that the effect on the steel beams shown in the Hutchison experiment looked eerily similar to the way the steel beams appeared following the collapse of the World Trade Center towers in 2011. Ventura, in earlier shows, has questioned the government story explaining the 9-11 attack and implied that it was an inside job. The death ray report strongly suggested that a weapon like the Tesla ray might have been used to help bring the towers down. Tesla believed a weapon like his death ray might stimulate world peace. It is obvious, if such a weapon truly exists, its possessor would have the power to destroy cities, buildings and entire battalions at the push of a button. It could knock aircraft and intercontinental ballistic missiles out of the sky and blast away the mightiest battleships at sea. Such a ray also could stop any wayward "doomsday" asteroid discovered to be on a collision course with Earth and shield us from any attack from within or from other worlds. As it has been with all great inventions, such a power might be used for both good and terrible evil.